Source: Messe Düsseldorf India Pvt. Ltd. 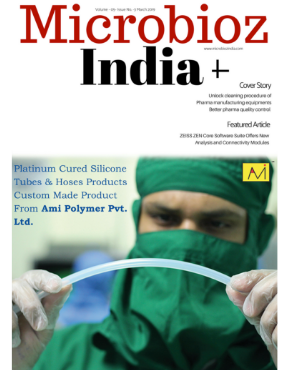 The Indian market for medical device technology and medical products has been booming for years and will also be among the fastest growing markets worldwide in the coming years. Experts forecast the market volume to rise to US$ 50 billion by 2025. And this market, considered the fourth biggest in Asia after Japan, China and South Korea, has counted on an element of continuity for nearly 25 years now: MEDICAL FAIR INDIA, a trade fair in Messe Düsseldorf Group’s MEDICAlliance. “MEDICAL FAIR INDIA has been the leading industry platform of this subcontinent for many years now. Alternating between Mumbai and New Delhi on an annual basis it has raced from one record to the next always in sync with the market, “explains Horst Giesen, Global Portfolio Director Health & Medical Technologies at Messe Düsseldorf, commenting on the constantly rising numbers of exhibitors and visitors. Following on from the results of the events held this year (Mumbai) and in 2017 (New Delhi) once again to the tune of 15,000 trade visitors and in excess of 500 exhibitors are expected to attend the 25th edition of MEDICAL FAIR INDIA held from 21 – 23 February 2019 at the Pragati Maidan Exhibition Center in New Delhi. Planning is already in full swing in terms of both exhibitor registrations and putting together an attractive programme of side events. Forming an integral part of the trade fair, these include CLIN LAB INDIA, for example, a conference conceived of, and organised by Scherago in cooperation with the Messe Düsseldorf Group (encompassing an exhibition area on trend themes in laboratory medicine) or the FTR4H Lab & Lounge as a digital health platform. Centre stage here are product ideas developed by start-ups, expert exchanges and networking on all exciting topics associated with digital transformation in healthcare (e.g. connection, mobile health, eHealth, Internet of Things, Big Data and innovative health-IT solutions). A new addition will be the themed area REHAINDIA presenting products and services related to nursing care and rehabilitation. Due to the high demand in previous years the big Europa stand is also undergoing planning again: companies from all European states are given an opportunity here to present their products to the Indian market inexpensively and enjoying a variety of services at the joint pavilion managed by Messe Düsseldorf. Furthermore, there will also be an official German Pavilion subsidised by the Federal Ministry of Economics. Focal themes covered by the ranges on show at MEDICAL FAIR INDIA 2019 include medical products and medical device technology, laboratory technology and diagnostics, furnishings and furniture for Clinics and Health Centres and the Health IT and Mobile Health solution – the area that is very on trend throughout the world currently. With its theme the event addresses decision-makers from the medical field (e.g. physicians and health professionals) and top hospital managers. But it is just as attractive for architects and building planners, for business consultants and science and research protagonists. The next MEDICAL FAIR INDIA will be held from 21 to 23 February 2019 – in keeping with the schedule – in New Delhi, at Pragati Maidan. All details relating to MEDICAL FAIR INDIA are available online at: http://www.medicalfair-india.com.